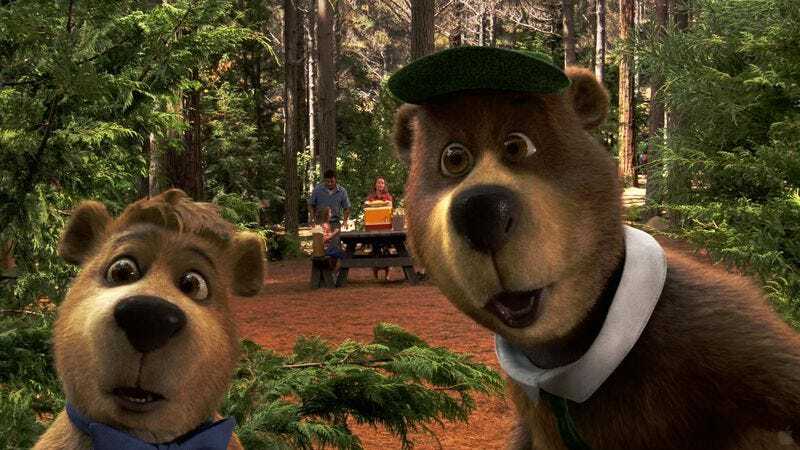 With its familiar shapes and agreeable running time, Yogi Bear was one of the most-tolerated movies of the year, scoring over $200 million at the box office while weary parents napped, grateful for the brief distraction. So naturally, there will be a sequel. We imagine it’s all automated at this point—the grosses cross the $100 million mark, and suddenly there’s a marketing prospectus waiting on the studio executives’ desks when they arrive in the morning, next to a Yogi Bear 2 promotional coffee mug. No one’s quite sure how they got there (the superstitious whisper of ghosts in the machine), but within hours original screenwriters Joshua Sternin and Jeffrey Ventimilia will wake from a hypnagogic state to find that they’re already halfway through a script where Yogi Bear rescues Boo Boo from a cruel circus ringmaster or something. And soon enough Dan Aykroyd will crack the door of his RV to find he’s somehow been whisked overnight to a voice-over studio, just another grain of sand swept up in the industry’s inexorable current, all of them coming to rest on the soggy delta of destiny.